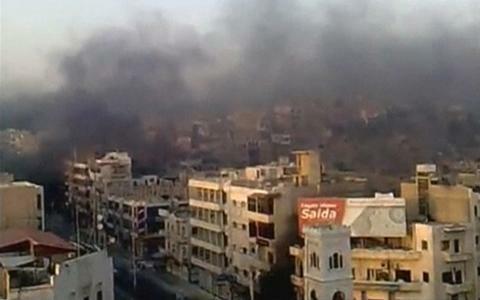 Another Rocket From Gaza Today – Will IAF Retaliation Follow? Seems that there have been rocket firings every couple of days from Gaza. The latest was yesterday (in Israel – 8/11/11). But this has been going on for a while. They are being shot mostly into the “Sha’ar Hanegev Regional Council” which is the administrative area that includes Sderot. They have been sporadic, and since the area is quite sparsely populated, usually have done little harm. However, last week, after rockets landed near Ashkelon and Sderot, the IAF retaliated with several strikes in Northern Gaza. I learned about the attacks live while I was monitoring #J14 on Twitter. #J14 is the Twitter hashtag for the so-called July 14th demonstrations in Israel. (If folks out there are not on Twitter, but would be interested in finding out why I think it is by far the best medium for getting news and commentary, please leave me a comment below. I would be happy to post a blog on why I feel that way and how I use Twitter). 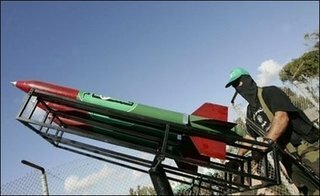 It isn’t clear who is firing the rockets (that is, even though Hamas controls Gaza, there are still multiple rouge factions within Hamas – several of whom are far more violent than the main governing organization), or why. With the serious domestic turmoil that is going on throughout Israel, if these provocations lead to a major military action against Gaza, it will probably actually strengthen the current government. Nothing pulls together a country like a good ol’ war. Air Force action comes in response to Kassam rocket fired at southern Israel, moderately injuring a woman in her fifties. This is clearly terrorism – drip by drip. But let’s be clear. It is not: “thousands of rockets raining down on Israel”. It is not meant to damage property or kill people per se. Rather, it is meant to instill fear and fray nerves because the possiblity of death is very real. Nevertheless, at it’s heart, it is really psychological warfare. But let’s also be clear: there are indeed 40,000 rockets on the other side of the security fence that would cause widespread death and destruction if used. Let’s hope, for the sake of both sides, that they never are. An Iron Dome missile outside Ashkelon responding to a rocket launch from the Gaza Strip in April 2011. A Palestinian man walking at a destroyed beach front facility in Gaza City on February 24, 2011 following an Israeli air strike the previous night. 6. Israel – Knesset continues to move to the right with its legislation – anti-boycott law, proposals to reduce rights of Israeli-Arabs, etc. 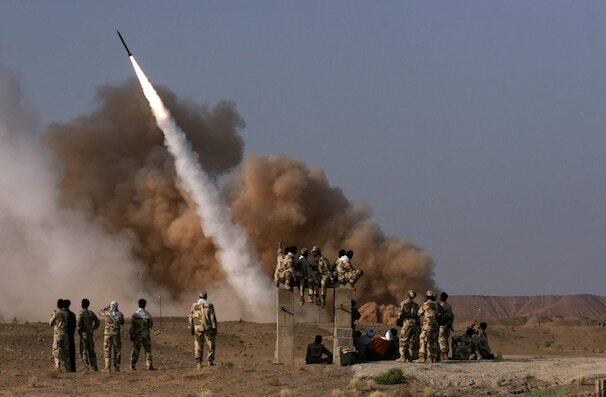 Raouf Mohseni/AP – Iranian revolutionary Guards personnel watch the launch of a Zelzal missile during military maneuvers outside the city of Qom on Tuesday.